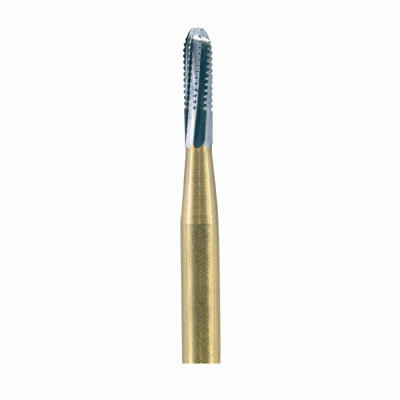 Clinician's Choice and Prima Dental Group offer the Electra carbide bur for the electric handpiece. There are no welds between the bur's shank and cutting portion; its single- piece design features an all-carbide blended neck, giving the bur a thicker core to absorb increased torque and dissipate stress throughout the bur to resist breakage. Clinician's Choice and Prima Dental Group offer the Electra Carbide Bur for the electric handpiece. There are no welds between the bur's shank and cutting portion; its single-piece design features an all-carbide blended neck, giving it a thicker core to absorb increased torque and dissipate stress throughout the bur to resist breakage. The effective cutting portion is restricted to the first 65% of the head, increasing bur strength.